Home » SEO blog » Content SEO » Why focus on long tail keywords? 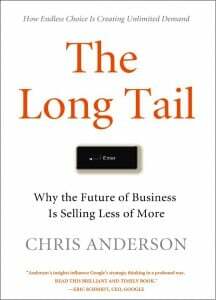 While preparing this blog post, Joost encouraged me to read The Long Tail by Chris Anderson. The Long Tail discusses the emergence of markets (especially, markets on the internet) with unlimited supplies. Chris Anderson discovered that the true shape of demand, not filtered by the economics of scarcity shows a very long tail (see picture above). This means that demand exists for virtually every niche, although this demand can become very small. A nice example could be a jukebox with 10.000 songs. A very small amount of songs will be played very regularly, while a very large amount of songs will be played very few times. However, research shows that virtually all songs (about 98 %) are played at some point. The demand for these songs (which are large in number) is very small, but it does exist. Almost every song will be played at some point. With the emergence of the internet, possible target audiences became quite large, even if the product is only wanted by a very small percentage of the people. The wideness of the internet thus makes your niche product profitable and the ranking on long tail keywords important. However, if you have your mission clear, you should be able to define what makes your product or website stand out from this market. You should be able to find your niche. And you should use YOUR mission in order to start ranking! Taking my example of cruises for single moms to Hawaii would mean that you should focus on the less competitive term [single mom cruises Hawaii]. Again, use words that your target audience uses (and avoid difficult terms). The terms you used to describe your mission can be nicely used to focus on in your SEO strategy. These words should be central in the long tail keywords you aim your website to rank for. People using the terms of your mission and finding your website will be relatively small in volume, but these people do have the highest chances to buy your product or to become regular visitors. 17 Responses to Why focus on long tail keywords? Hello Marieke! First, thanks, I have learned a lot about SEO thanks to the plugin and the articles that you publish. I have a little doubt regarding the use of long tail keywords and Yoast SEO. Doing the research work I find that many times the searches with several words do not coincide with the correct wording. For example: the words “residence artists madrid” appear at the top of the search, but the way to write this would be “residence for artists in Madrid”. Obviously, in the content I write it that way. But if I write it that way in Yoast’s keyword field it tells me that it does not match, and my rating goes down. Hi Federico, We love to hear you’ve learned so much and like our plugin. Thank you! 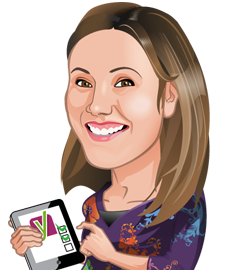 If it makes sense for your user, you should always use the right wording for him or her, even if your Yoast SEO score goes down a bit. In the end, it’s the user who decides! Also, since Yoast SEO 9.0 our SEO analysis became a lot smarter. We don’t necessarily look for an exact match for all SEO checks (for some we still do though). You can read more about that here https://yoast.com/wordpress/plugins/seo/yoast-seo-premium-analysis-glossary/#no-exact-match. Perhaps you can check when you’ve last updated our plugin to make sure you’re running the latest and greatest ;-) Good luck! Hi, Its really being awesome to read out your article. You are right long tail keywords always help out. But I always use short keywords. After reading your article I change my mind. And next time I use long tail keywords. I have no question yet. Thanks for making this type of article. I think keyword research is one of the biggest challenge in ranking or SEO. In this post you said about long tail keywords but long terms keywords are few.So it is easy to rank these long tail keywords. I think finding right keywords is the most crucial part of SEO because if we find the right keywords then chances of becoming ranking in google will increase. I found this post very helpful. So, thank you for sharing such an amazing information. Can you provide more post on keyword research. Hi Arjun, we have a very complete guide on keyword research, check it out here: https://yoast.com/keyword-research-ultimate-guide/ Good luck! You are right! I get bit traffic when I use long tail keywords but I usually get tempted all the time to just go for the shorter ones with lots of searches. My question is, can I go for a keyword with no search value? Or can I optimise for a keyword that has just 10 search in a month? Hi! If there is 0 search value it’s not worth investing your time. And 10 searches a month… in case you try to sell something, I guess that only makes sense if there’s no competition, you have an extremely high conversion rate and a very expensive product ;-) But in most cases, I’d advise targeting a somewhat less long tail keyword. Well, I have gone through your article. Thank you for sharing the valuable article. My question is choosing long tail keyword is fine. but the user will not type the complete keyword. they always type very fewer keywords. then what is the use of promoting long tail keyword. Ex. IF the user wants to buy mobile phones then he simply searches “best mobile phones” so how can we get his attention? Thanks for your comment. A lot of people will enter the head search term in Google, for sure. However, with the top results for these queries, you probably won’t be able to compete. Nobody will see your result if it’s on page 10. There will be less frequent, but more specific queries you might be able to target. If you try that, you might end up higher in the search engines, people possibly find you and convert. Good luck! Very important points I read in your article regarding long tail keywords. However, I do have one question which is: Should I focus on only long-tail keywords? I have done many SEO projects and I would usually start those projects with long-tail keywords like, for example, NGO FOR CHILD ABUSE IN HAYES, searching this on google will bring up the result of the website (http://gpah.org) on which I’m doing SEO, but searching only NGO for child abuse does not bring up the result. My Question: Is my former long-tail keyword enough or should I also focus on short keywords? Hi Raza, Thanks for your question. It’s great to see you’re already ranking on some of your long tail keywords. If you rank on some of those you can start and try aim for the shorter ones. I’d advise trying to find the keywords people are looking for (using Google Trends) and analyze on which keywords your competition already ranks. If you combine this data, you might find gaps for which there is not much content yet. That’s what you can write about! If you’re looking for a full guide on keyword research please check out this article: https://yoast.com/keyword-research-ultimate-guide/ it’ll guide you step by step. Keep up the good work! Thank you for sharing informative contents with us. How do I target 4 to 5 long tails keywords for web homepage? As my homepage contents lots of articles, widgets, and ads, can you help me in this case? Hi, In general, your homepage is not a page you’d like to rank for long tail keywords. 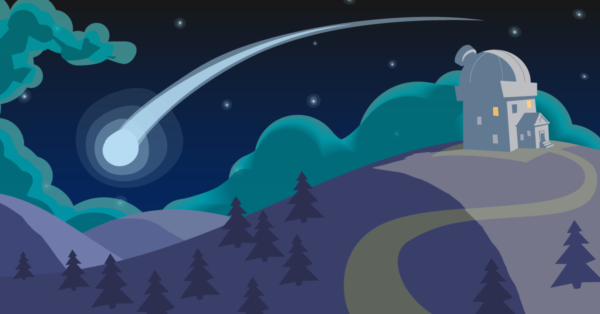 If you’d like to read more about optimizing your homepage, please check out this article: https://yoast.com/homepage-seo/ Good luck! I have an website with 3k+ products and image. But google not index all the website. How can i index it with long tail keyword and seo on it ? Maybe this article is helpful for you: Why doesn’t Google index my content properly. Marieke, this is a good article. I have loved long-tail keywords for their ability to turn into conversion-centers. However, as Google evolves with its focus on NLP do you think that keywords are going to even survive? I feel like we’re quickly moving towards topical relevancy and covering more narrower (and specific) subjects. The keyword research tools are essentially going to convert into market research tools in the near future. Or so I think? Hi Chintan, Great comment! With the help of AI, Google is becoming smarter and provides better results, as it will take the context of your keywords and the entities that relate to it into account. But we think (long tail) keyphrases will still be important to simply determine the topic and the specificity of certain content. In the end, it’s still about matching the best result or answer to a specific query. And, it could well be that keyword research tools turn into market research tools. They kind of are already, right?